The Sergio Lozano designed Nike Air Max 98 returns this season in two new bright ‘University Red’ and ‘Pink Pumice’ colourways. An often overlooked silhouette until it’s recent 20 year anniversary, the Air Max 98 was the next release in the Air Max lineage, following on from Lozano’s previous Air Max 95 and Christian Tresser’s AM97 creations. 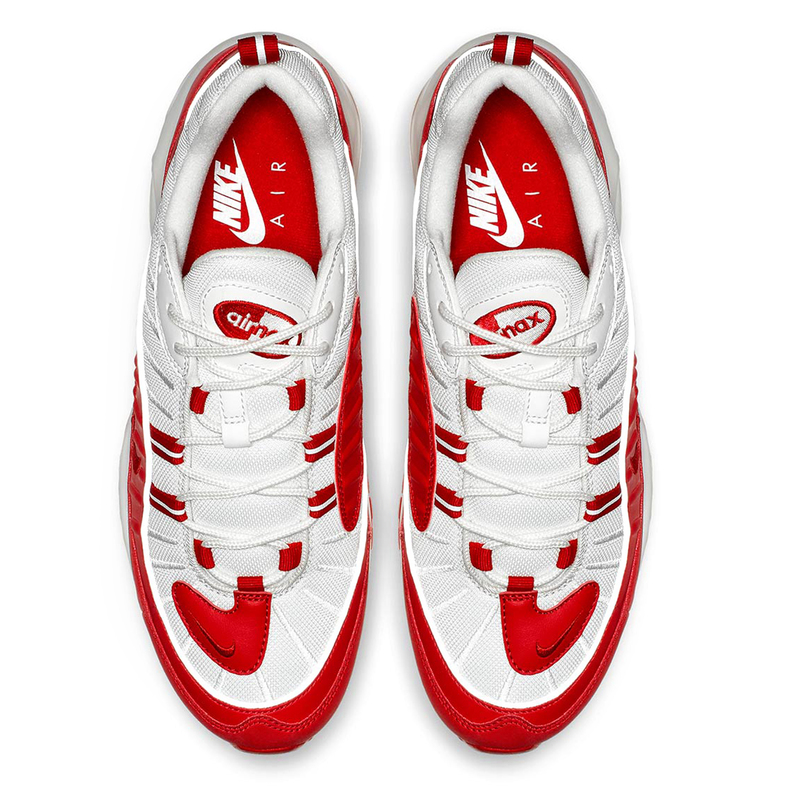 Originally released in 1998, the runner transferred the same anatomically designed full-length Air sole unit from the Air Max 97 while diverging from its predecessor’s clean lines and reworking the upper with various panels of leather and textiles. Since being unearthed from the archive in recent years, the Air Max 98 has built a positive reputation for the brand, thanks in part to it’s return via a collaboration with Supreme in 2016, reintroducing the pair to a new generation of Air Max fans. 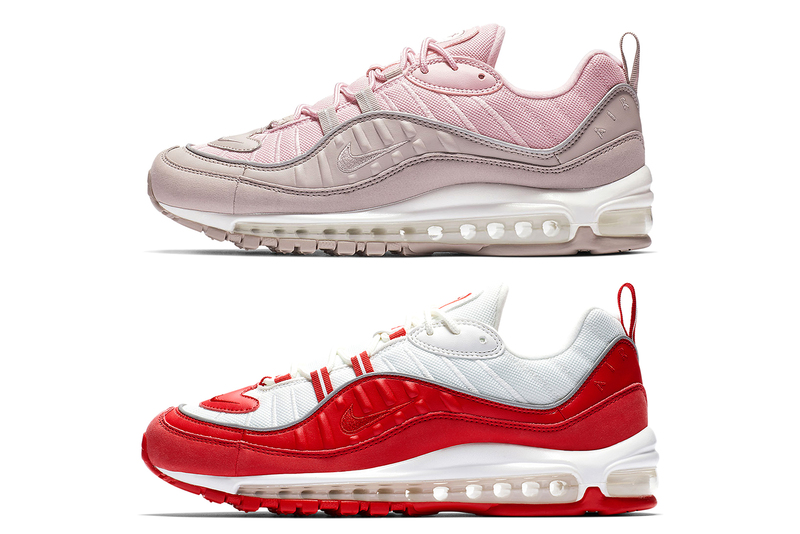 Continuing into 2019 after a successful bring-back last year, Nike delivers the Air Max 98 in two new makeups, the first of which draws strong design influence from the initial Supreme collaboration, minus the reptile print panelling. Assembled with breathable white mesh underlays, layered shades of ‘University Red’ sit on the leather midfoot panels and nubuck mudguard. The lace-loops, heel pull-tab and the brand’s BRS-100 Regrind outsole are all painted in red, ensuring a striking style that’s sure to grab attention. 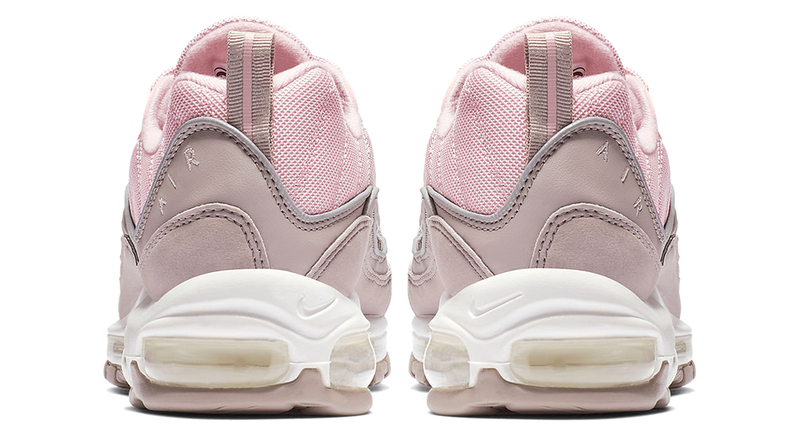 Next up, the Air Max 98 receives the tonal treatment, covering the model entirely in ‘Pink Pumice’ hues. Dressing the entire pair in soft pale shades, the only contrast arrives on the white midsole. Both styles are highlighted with 3M detailing throughout. The Nike Air Max 98will be available on the size? Previews App and in size? stores on Friday 25th January, priced at £145. Next Post Next post: The North Face RAGE ’92 Collection – Event Recap.